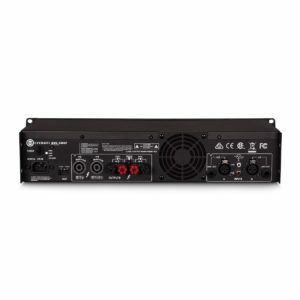 The Crown XLS1502 2 channel, 525W, 4 ohm amplifier is the perfect upgrade for people who are looking to fill a large sized studio of 1100 square feet or more. We use the XLS1502 in our 4 speaker sound systems. If you are looking to gain more sound, or add more speakers, this is the amp you will want to buy.